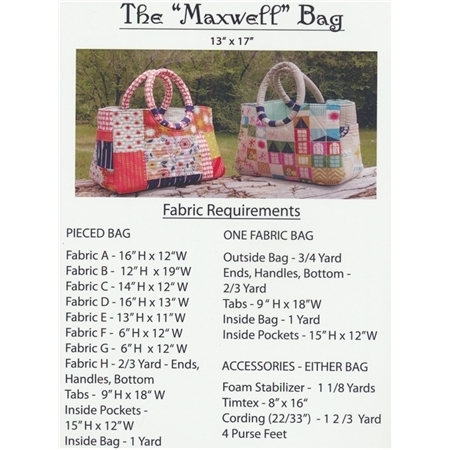 The "Maxwell" Bag by Abbey Lane Quilts is large to hold the "big" projects! 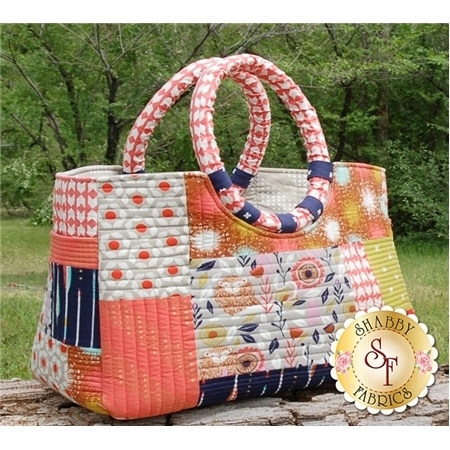 The handles are soft but sturdy and it has pockets on the outside and inside to hold all your extras. This bag has little purse feet on the bottom to protect it when you set it down. 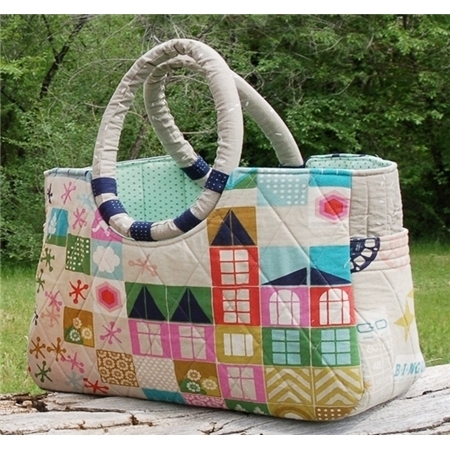 The pattern includes two versions, the Pieced version which incorporates 8 fun fabrics, or the one fabric version.